Being completely frustrated about not having finished anything, I decided to knock over a small project whilst Danny was out and Emma and Harry were asleep. I started with four rectangles; two cut from each of my chosen fabrics (one lot for inside one for outside). To get the right size I placed my phone on the material and allowed about half an inch around. You want to be generous - you can't get it back once it's cut off! 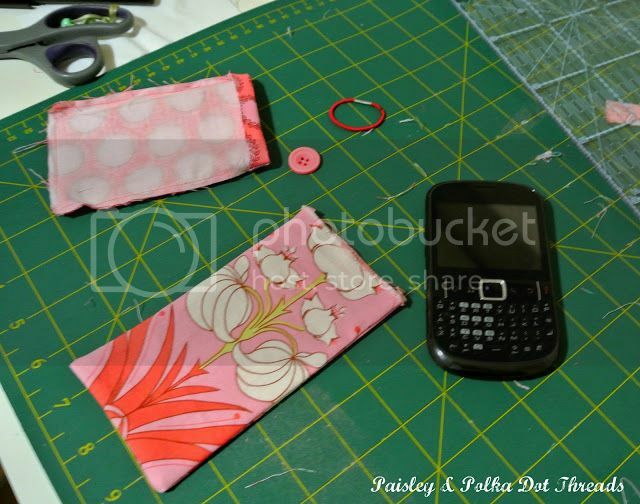 I made both into a pouch, leaving one of the short ends open on each. 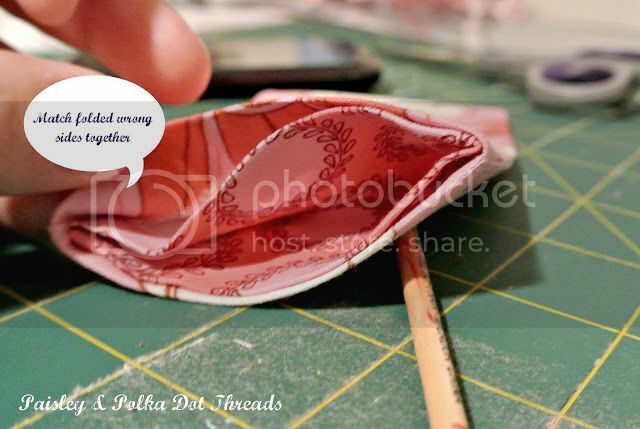 I started with a quarter inch seam, and then came in a little till it was the size I wanted. I checked and double checked the size before trimming the seam and cutting across the corners. 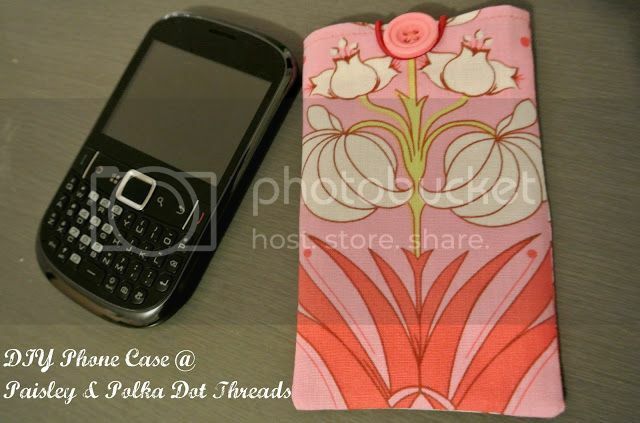 The pouch needs to be snug, but easy enough for you to get your phone in and out in a hurry! 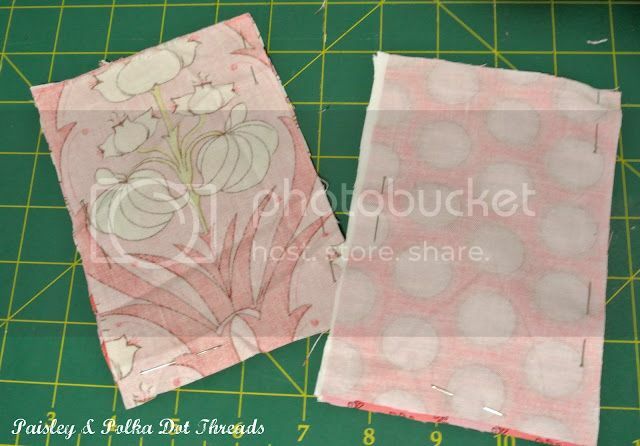 Then tuck your inner fabric inside the outer, as in the pic below. For a closure I used a small hair elastic and a button I already had. 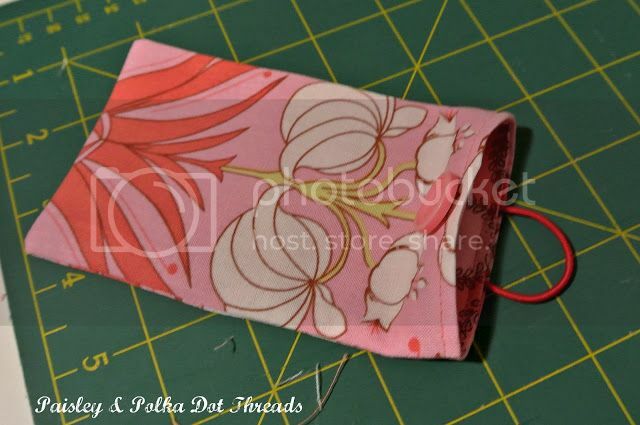 I pinned the elastic in at the back, then sewed around the top about a quarter of an inch from the edge. I sewed the button on at the top, and ta da!!! Something finished!! Now that feels better! That looks so cool...and easy too!! Great job Catherine!! Super cute!Thanks so much for sharing the great tutorial!I'll try make one. Would love to have you visit me sometime.